The yellow bus has long been an icon of public school systems, but in many big cities, tens of thousands of students make their way to and from school without the yellow bus. They navigate public transit. And more school systems are switching from yellow bus to public transit services to save costs. About 30,000 Baltimore City Public School students regularly ride the city bus to and from school. And, getting those kids to school on time can be difficult. Middle and high school students can apply to attend any school they want in the city regardless of how close it is to where they live. 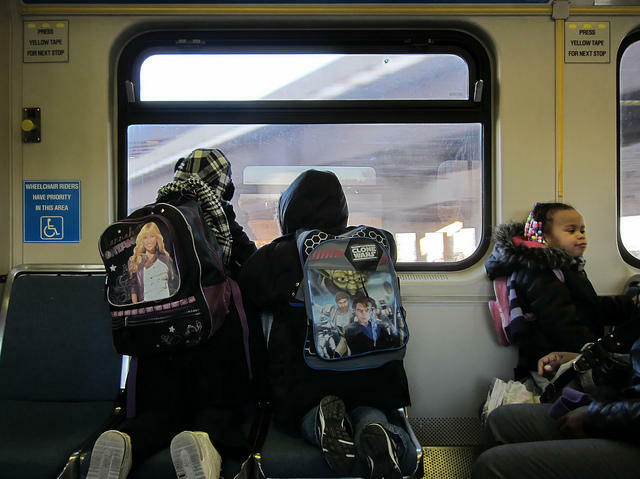 Producer Jonna McKone explores how much we know about youth transit patterns and the issues these young people face getting to school. 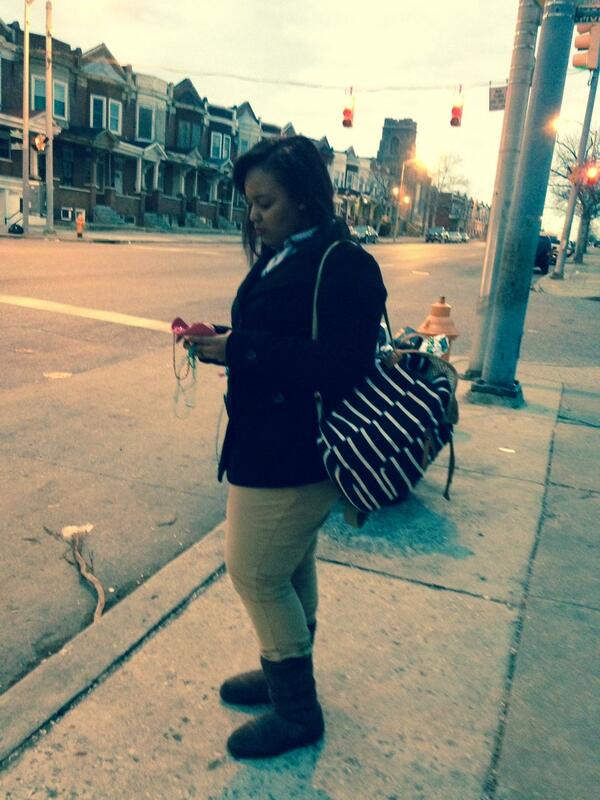 Laurell Glenn, who took us along for her ride to school, waits for her morning bus. In 2013, New Lens Productions, a youth driven social-justice organization, produced this short film about commuting to school on Baltimore public transportation with the help of Baltimore Attendance Work Group. Wide Angle Youth Media, a non-profit that teaches youth storytelling skills, has worked with the MTA on many projects including the production of a music video and a project called MTA Stories. Baltimore Brew - $5 million a year on taxis for public school kids: Is there a better way? Baltimore Brew- Still scratching your head over MTA's "My Bus Tracker"?